One day as Mrs. McNosh is walking her dog, George, a mischievous little squirrel crosses their path. Suddenly, George breaks free from his leash and wreaks havoc everywhere he goes! How will Mrs. McNosh ever catch him? Written in rollicking rhyme, this outrageous story will be sure to tickle the funny bones of adults and children alike. 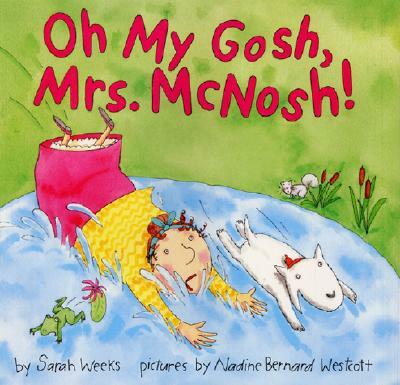 Nadine Bernard Westcott has illustrated numerous books for children, including How to Grow a Picket Fence by Mary Louise Cuneo and two popular children's songs: There's a Hole in the Bucket and Over the River and Through the Wood. She has also illustrated another book in the Let's-Read-and-Find-Out Science series: I Can Tell by Touching by Carolyn Otto. Ms Westcott lives on Nantucket Island in Massachusetts.